Maybe, occasionally, some of the pictures I saw in teacups were not for the tea drinkers. Maybe some of them were for me. Re-reading the synopsis before I began writing this review ALMOST made me want to pick up the book again and give it a solid second chance. The synopsis hints at a semi-spooky, luringly mysterious narrative that might have the potential of holding one's interest. Alas, it did not even ATTEMPT to make grabby hands at my interest. The innards of The Leaf Reader took a back road and inevitably got lost. This book felt like a choppy phone call. Like I was getting to hear every other word, but I was definitely missing out on the good parts. There was so much more happening that we weren't being told about; so many more building blocks, and puzzle pieces fitting perfectly together. So many ways I could have been more drawn into the mystery that was unfolding. 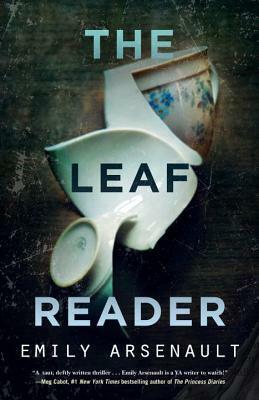 The Leaf Reader is a mere 240 pages long so I can appreciate the author not being able to fully flesh out her characters, or provide an in-depth back story, but it was the lack of basic plot essentials that made it feel so disjointed. Marnie's relationships were confusing and felt extremely forced. Her interactions with other characters seemed to start in the middle, and never really make its way to an end or a direction that made much sense. Her social status was ever-changing and thus deliriously unclear-what she the quiet, nerd type, or just a more shy acquaintance to the entire school body? There were literally only 1-2 characters who were sure of their personalities, and even then, their missing back stories prevented me from ever fully appreciating them. The big HURRAH of the story was thrown in casually and without fanfare, as was the eventual solving of the main 'mystery'. I quote 'mystery' because it was wasn't really so, it was more of a mildly interested 'pondering'. Actually, I'd say that perfectly sums up how I felt about The Leaf Reader: mildly interested. Read if you liked: The Second Sight Series by Heather Topham Wood. 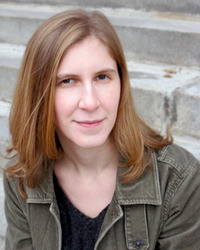 Click HERE to find out more about Emily on the "Author" page of her website. an e-arc of this book via Edelweiss for review.